TUESDAY, May 2, 2017 (HealthDay News) -- Black Americans are living longer, but they still aren't living as long as whites are, federal health officials reported Tuesday. While the overall death rate among black people dropped 25 percent between 1999 and 2015, the average life expectancy among black Americans still lags behind whites by almost four years, a study from the U.S. Centers for Disease Control and Prevention found. "We are seeing declines in three leading causes of death among blacks -- heart disease, cancer and HIV," Leandris Liburd, associate director of CDC's Office of Minority Health and Health Equity, said during a midday news conference. And the gap in early death rates between blacks and whites is closing, Liburd added. "For these 17 years, for all causes of death in all ages, the disparity in deaths went down by more than half. Even so, critical disparities remain," she said. The closing of the gap is due to improved health of the black population overall, she said. "However, we need to continue raising awareness among blacks from an early age to encourage healthy behaviors that will have lifelong impact," Liburd said. Disparities in early death rates between blacks and whites are also shrinking in part because those rates are dropping faster for black Americans than for whites, the researchers found. Among all age groups, deaths for any reason stood at 33 percent in 1999, but fell to 16 percent in 2015, the findings showed. Moreover, the gaps in death rates from heart disease and for all causes among blacks and whites aged 65 and older closed completely, the investigators found. According to report author Timothy Cunningham, an epidemiologist in CDC's Division of Population Health, "In 50- to 64-year-olds, deaths from heart disease have decreased by 32 percent and cancer deaths by 27 percent." Death rates for certain diseases are declining faster among blacks than whites, leading to smaller disparities, he explained. 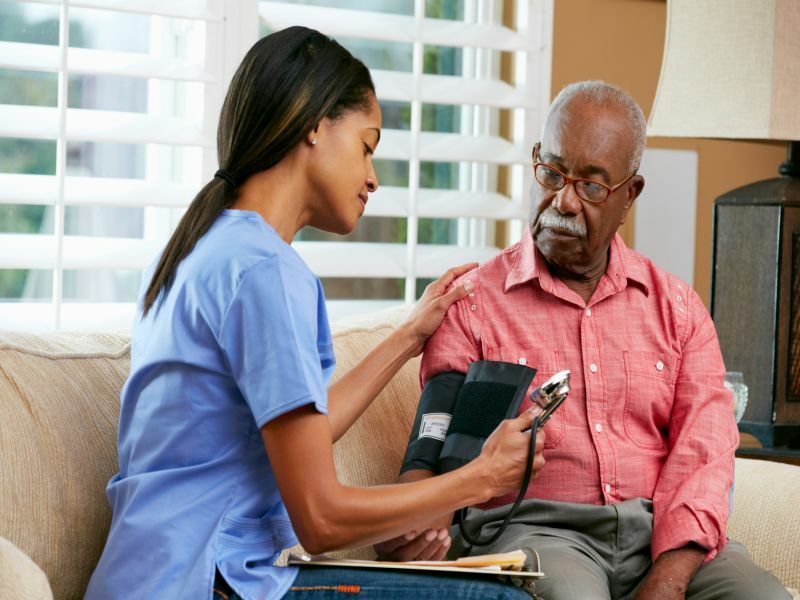 "Deaths from heart disease in blacks 65 and older have declined by 43 percent, and deaths in whites 65 and older have declined by 38 percent. For cancer, deaths decreased in blacks by nearly 29 percent and by 20 percent in whites," Cunningham added. Despite the progress, younger blacks are more likely to live with or die from medical conditions that usually strike older whites, such as heart disease, stroke and diabetes. Among young black Americans, risk factors for some diseases -- such as high blood pressure -- may not be noticed or treated, the researchers noted. And murder rates among black Americans have not changed during the 17 years covered by the study. "Homicide is the seventh highest cause of death among blacks and has not decreased to any major extent during these 17 years in any age group other than in blacks 65 and older," Cunningham said. In fact, during those 17 years in any age group other than those aged 65 and older, it's gone up, he added. "In blacks 18 to 34 years old, it remains the number one cause of death. In blacks 35 to 49 years old, it is the number three cause of death, after heart disease and cancer," Cunningham explained. On the plus side, deaths from HIV among blacks aged 18 to 49 dropped 80 percent between 1999 and 2015. Significant declines in HIV deaths were also seen among whites. Yet a large disparity still exists between blacks and whites -- black Americans are seven to nine times more likely to die from HIV than white Americans, the findings showed. These gaps between blacks and whites are rooted in poverty and other social conditions that continue to plague the black community, the researchers said. Black Americans of all ages had lower levels of education and home ownership, and nearly twice the rate of poverty and unemployment as whites, according to the report. These factors may limit access to medical care. Black Americans are also more likely to be obese and sedentary, factors that can negatively affect health, the investigators said. Dr. David Katz is president of the American College of Lifestyle Medicine. He said, "Social justice is among the more important determinants of health outcomes, and disparities are very revealing about social justice and equity in public health." Disparities are particularly glaring in the United States, so a decline in the survival gap between whites and blacks is positive and suggests that progress is being made, he added. But there are some dark clouds around this silver lining, Katz noted. First, important race-related disparities in life expectancy remain. Second, the gap may be narrowing now, not just because black Americans are living longer, but because life expectancy has declined recently for white Americans, at least in part due to the nation's opioid and mental health crises, he pointed out. "Further, the U.S. as a whole lags behind other countries in both life expectancy and, more importantly, in years of health and vitality," Katz said. He is also director of the Yale-Griffin Prevention Research Center in Derby, Conn.
CDC researchers based these findings on data from the U.S. Census Bureau, National Vital Statistics System and the CDC's Behavioral Risk Factor Surveillance System. The report was published online May 2 in the CDC's Morbidity and Mortality Weekly Report.